Statewide Construction Sweeping provides construction sweeping services for highway and road improvement projects. With over 50 years experience in sweeping we have created a reputation for professional service and customer satisfaction. We have the largest fleet of Construction Sweepers on the West Coast with dedicated, professional operators. 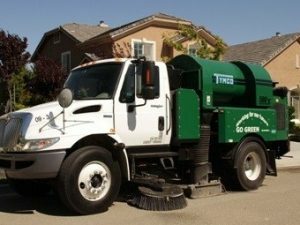 The experts you need to keep your city clean and compliant with regulations and your municipal streets clean. Statewide Construction Sweeping employs the most modern and up–to–date equipment in the sweeping industry. Our Fleet is made up of multiple twin engine High Dumps and Regenerative Air sweepers, the most innovative products of their kind. In addition, we have backup sweepers available 24 hours a day. Construction sweeping is one of the most demanding types of sweeping. Our job is to keep your site clean and our operators work seamlessly around each of your project phases. We keep the site clean, the dust down and the inspectors happy. Our equipment is well maintained and our operators have been doing this for many years. We work in unison with your site foremen and most importantly we make sure it’s done right the first time. Since 1958, we’ve been sweeping. 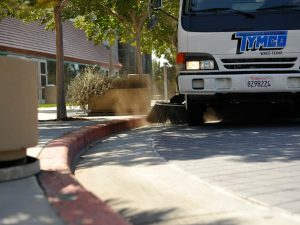 We’ve helped in the direction of modern day sweeping equipment and take pride in being one of the largest construction sweeping organizations in California. Our operators are committed to safety and Picking it Up! We understand the importance of construction sweeping. We make sure your construction site is clean and the dust levels are kept to a minimum. We operate the latest High-Dump sweepers, both mechanical broom and regenerative Air. Our industry leading mechanics keep our fleet in the best condition so your job is not at risk of being slowed down. Our effective pressure washing services use “industrial grade” units with up to 3500 psi and hot water to address the most difficult residue build up. We specialize in emergency calls and clean ups for constructions sites and use water reclamation units to capture and contain spills when needed. STW specializes in construction demolition, reuse, recycling and waste management. We provide construction demolition hauling, along with garbage and recycling services to businesses located within the San Francisco, Bay Area and throughout Central California. We have 7 to 40 cubic yard debris boxes available. We focus on making sure that all of our customer’s debris and recyclable material gets recycled at authorized sites only. Our dedicated box hauling operators are constantly on the go shuffling boxes for our clients. Call us and we’ll take care of it.